Greyhound bridge, Lancaster, 9 December 2018. 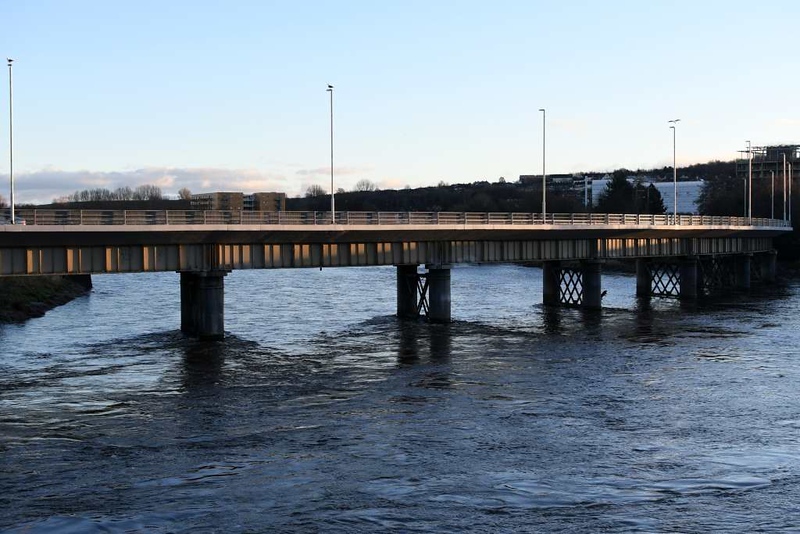 The A6 / A589 bridge was refurbished in 2018. It used to carry the Lancaster Green Ayre - Morecambe line. The River Lune flows towards the camera, running high after a week of rain.